Following the iconic shaker kitchen design the Barnes shaker presents a more simple look with five stunning colours from stock and painted options. The Barnes shaker kitchen is a great design for a modern take on the shaker classic. See the painted options here. In the classic alabaster the Barnes shaker style is displayed perfectly highlighting the clean design. 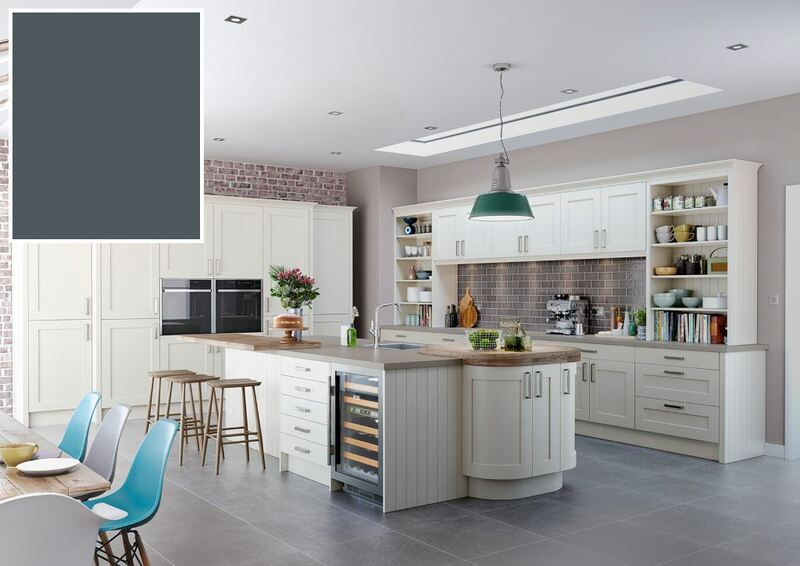 The Barnes shaker kitchen in putty offers a very modern colour to the timeless classic shaker design. By combining colours and a modern design the classic shaker kitchen is suitable for a contemporary or modern design kitchen. The soft tones of grey are perfect for this shaker kitchen.